As a southern boy, I naturally associate the month of October with the fair coming to town. In addition to the pig races, one of the best parts of the fair is the "fair food." 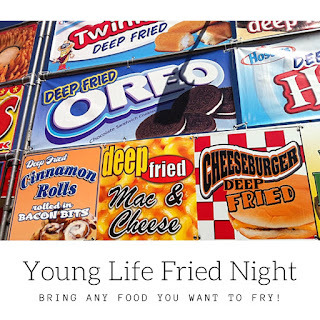 I mean, where else can you get deep fried Mac-N-Cheese and Krispy Kreme Burgers?! I'll tell you where. Young Life club. It's a fun, low-key idea for a theme night this fall. 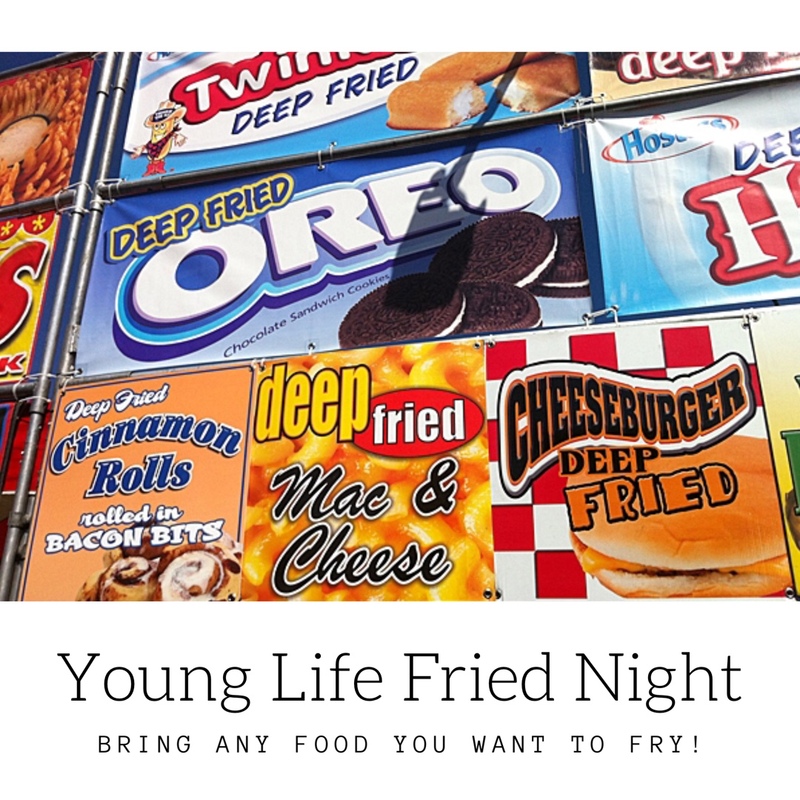 All you need to do is gather some deep fryers (ask parents and your YL committee to borrow a few). Have kids bring any food items they want to fry, the possibilities are endless. Bring some extra random foods for kids who forget to bring something. Pro-Tip: Ask some responsible parents to come and help be your fryers! Here are some instructions for frying a snickers bar. 1. Place the Snickers bar in the freezer until it is hard so the candy bar does not melt when it is fried. This step is optional because the candy bar will be delicious either way. However, an unfrozen Snickers Bar will be stickier and messier. 2. 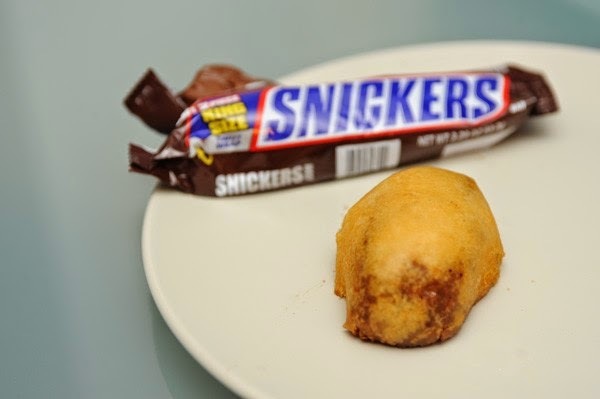 The safest way to fry a Snickers is in a deep fryer. Don't panic if you don't have one because you can also use a deep pot with a glass lid. Preheat peanut or vegetable oil to 375 degrees. 3. Prepare batter to coat the Snickers bar. You can use funnel cake batter, cake batter or pancake batter. Take the Snickers out of the freezer and completely cover it in the batter. 4. 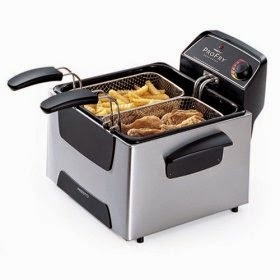 Use tongs to place the Snickers into the deep fryer or deep pot with the heated oil. When it's golden brown, remove it from the hot oil using the tongs. The total frying time should be about three minutes, but keep an eye to determine when it is ready. 5. Let the fried snack cool for a few minutes because the inside will be hot and you could burn your mouth. You can top it with powdered sugar, chocolate syrup, caramel or any other sweet treat. *Never put water on a grease fire, but instead put it out with a glass lid or baking soda. Another great idea would be to sing the song, Chicken Fried. HT to Ken Tankersly for sharing this idea!